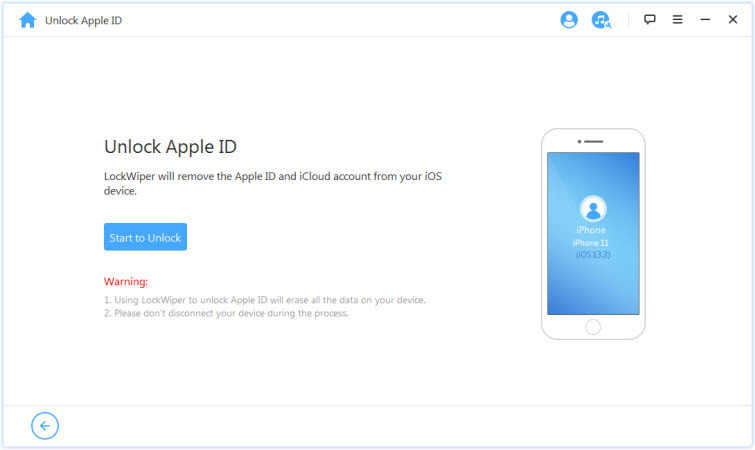 Did you forget your Apple ID/iCloud account, or iPhone screen passcode? 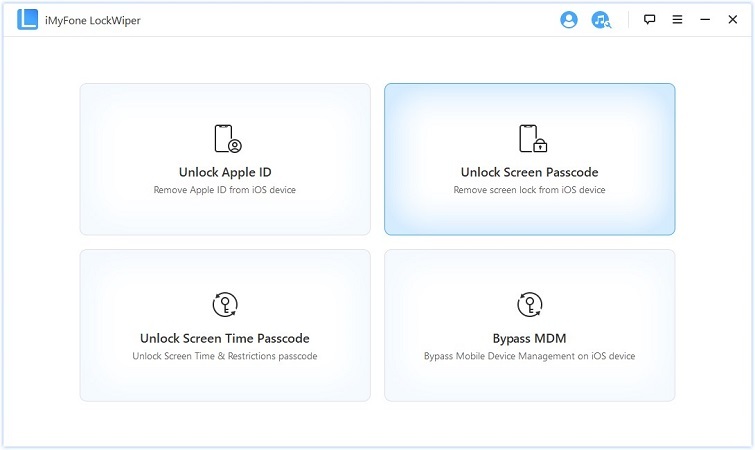 You have two (2) great unlocking modes from iMyFone LockWiper to help you bypass the issues with Apple ID/iCloud account and screen passcode. 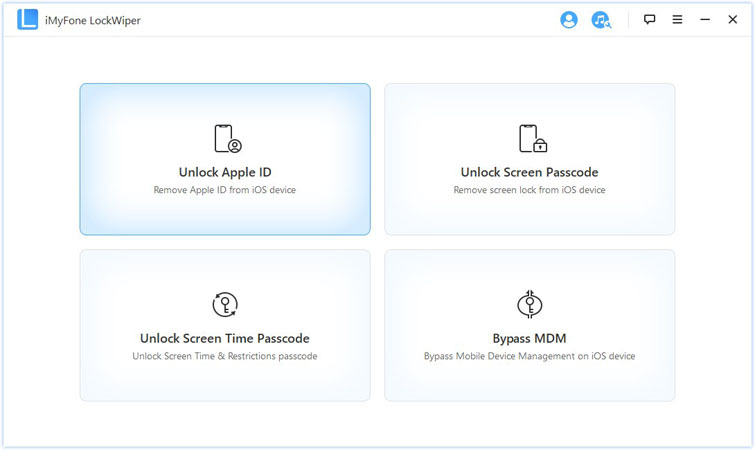 Launch iMyFone LockWiper on your computer, and choose the “Unlock Apple ID” mode. 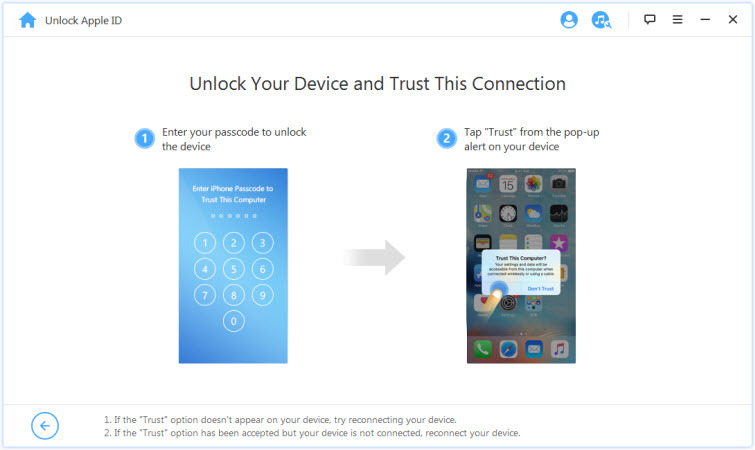 Connect your iOS device to the computer, unlock the iOS device screen, and select “Trust” from your iPhone screen if you have not trusted the computer in the past. Click “Start to Unlock” tab to remove the Apple ID and iCloud account presently associated to your iPhone, iPad or iPod touch. 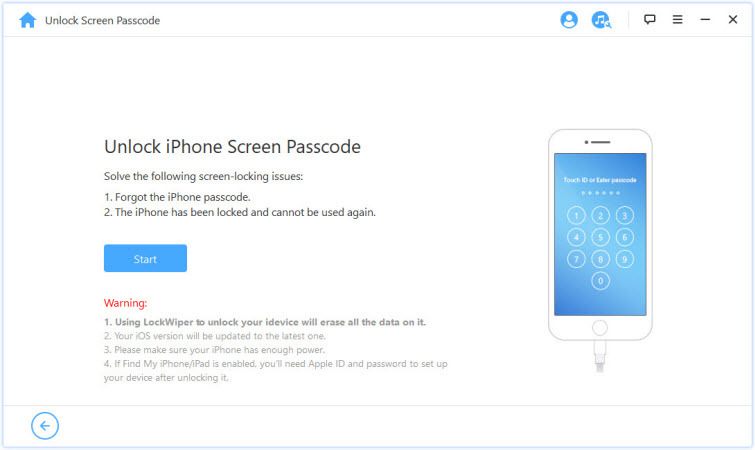 If Find My iPhone is disabled on the iOS device, LockWiper will immediately start to unlock your device. 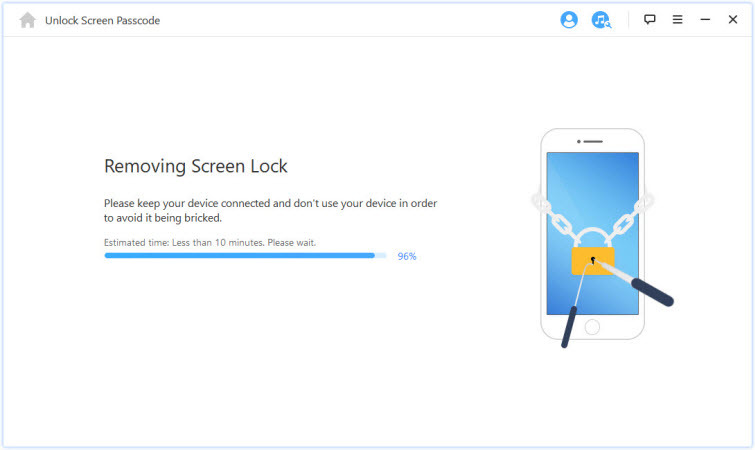 It will take a few seconds, please wait for LockWiper to unlock your device. If Find My iPhone is enabled on the device, you will need to reset all settings on your iOS device. To reset all settings, please go to “Settings > General > Reset All Settings”. 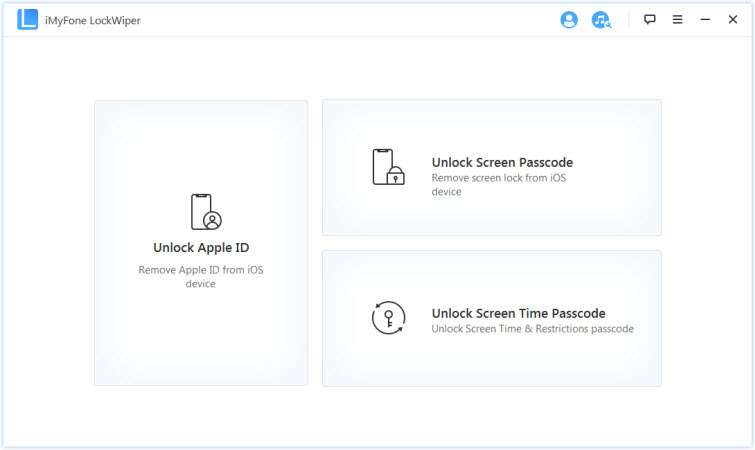 Immediately you confirm to reset all settings, your iOS device will restart, and at the end, LockWiper will start to unlock your Apple ID and iCloud account. 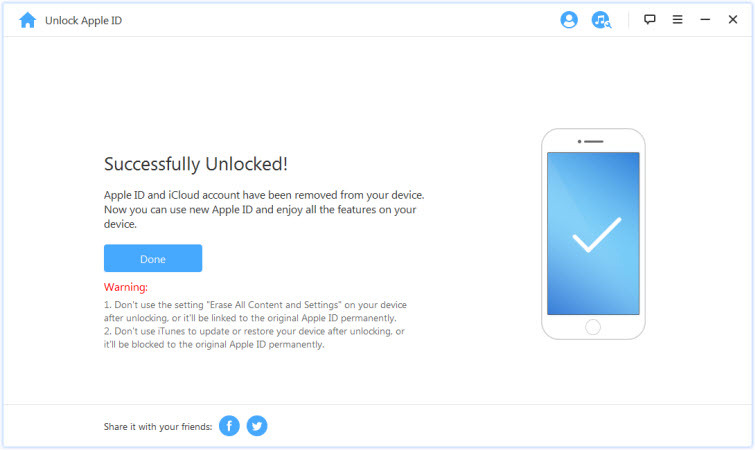 Once the process is complete, the Apple ID and iCloud account will no longer be registered in the device; you can now set up your device with a different Apple ID or create a new one. Forgot your iPhone passcode? Or it is disabled as you entered the wrong passcode so many times? 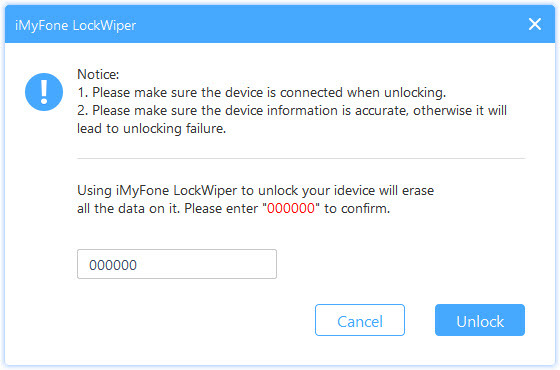 iMyFone LockWiper can help you easily and quickly unlock iPhone/iPad without a passcode. It can remove all types of screen lock without any hassle! Launch LockWiper and select “Unlock Screen Passcode” mode. 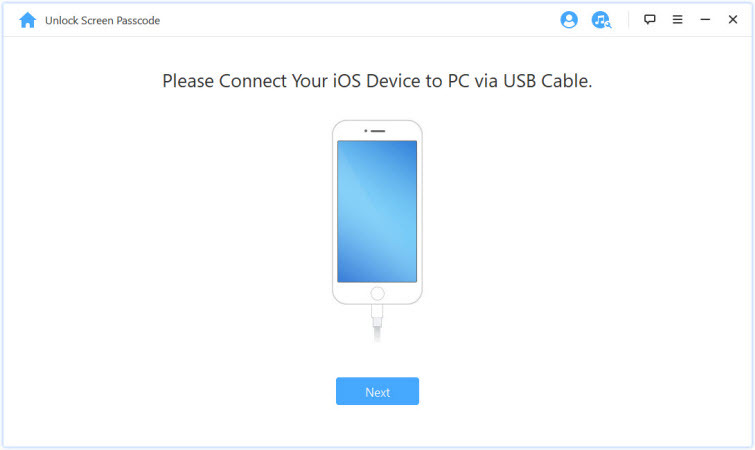 Connect your iPhone/iPad/iPod Touch to your computer via USB cable. Then click “Next”, it will start to load your device information. 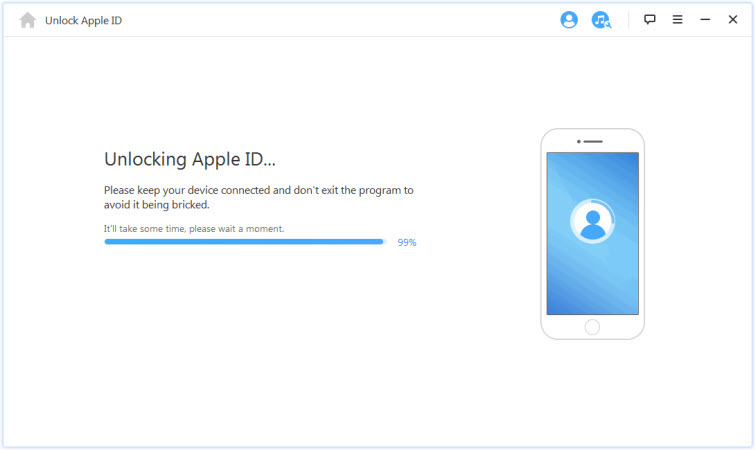 If your device cannot be recognized, you can put your device into DFU/Recovery mode manually to make it detected. 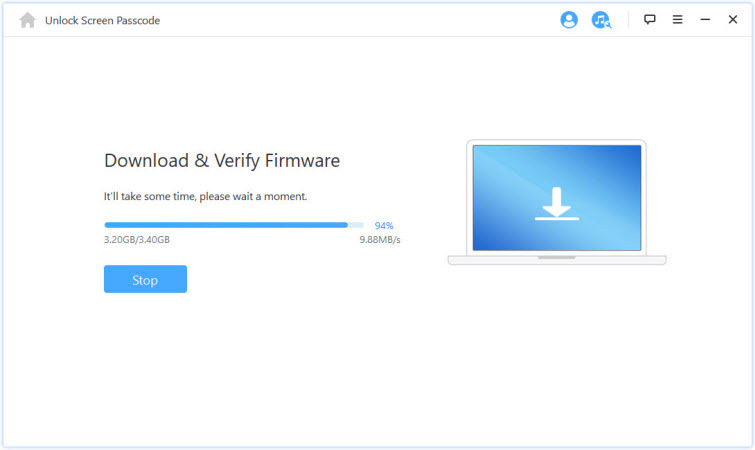 If it fails to download, you can click “Copy” to download the firmware package in a browser. If you have already downloaded a firmware package on your computer, click “Select” to add it in. 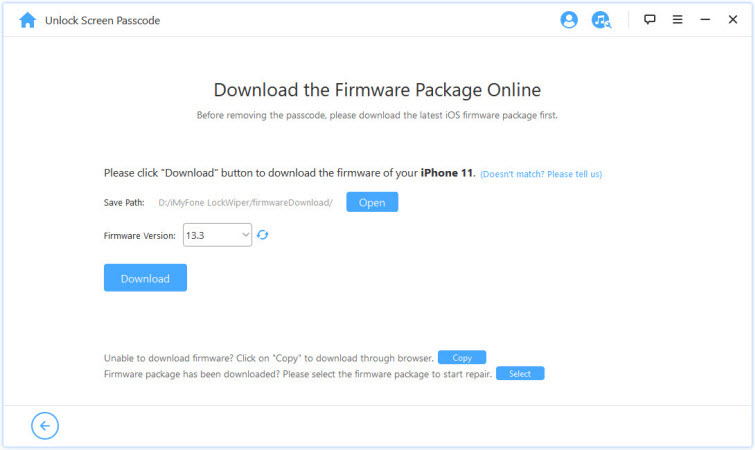 Please wait a few minutes to download and verify the firmware package. When the verification succeeds, click “Start to Extract” and kindly wait for it to complete. Click on “Start Unlock” to begin. 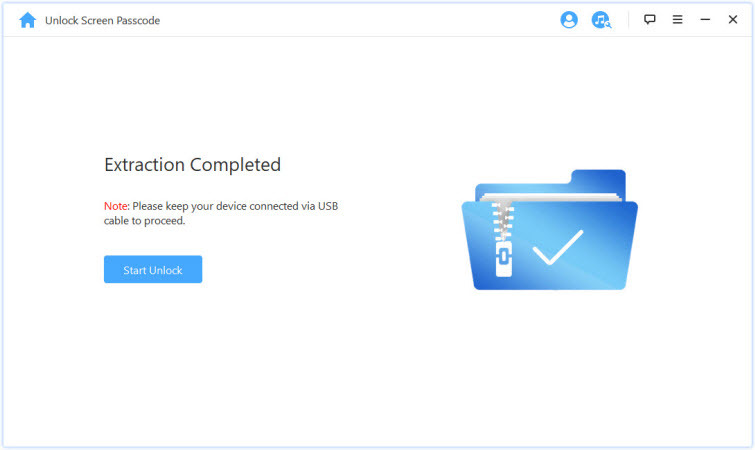 Please keep your device connected to PC via USB cable during the unlocking process. 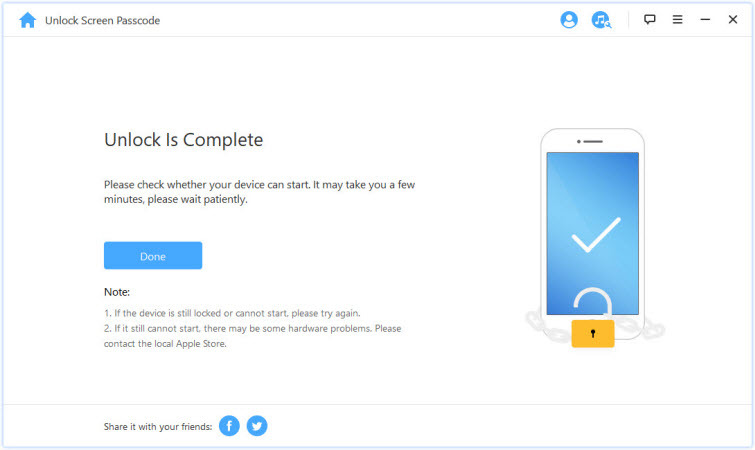 Please read the notice carefully and enter “000000” to double confirm you are agreeing to unlock your device, then click “Unlock.” Your device will enter Recovery mode automatically. 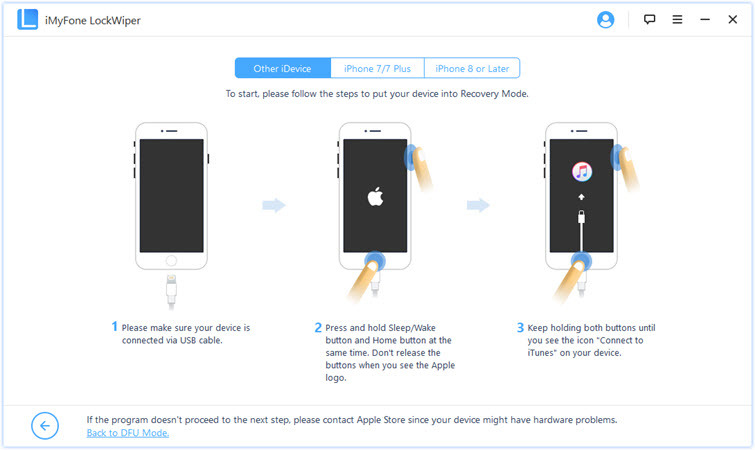 If your device fails to enter Recovery mode automatically, you will be guided to the manual instruction to put your device into DFU/Recovery mode. Just in a few minutes, the lock will be removed from your device. Now it’s done! Your iPhone/iPad/iPod Touch screen passcode is successfully unlocked! 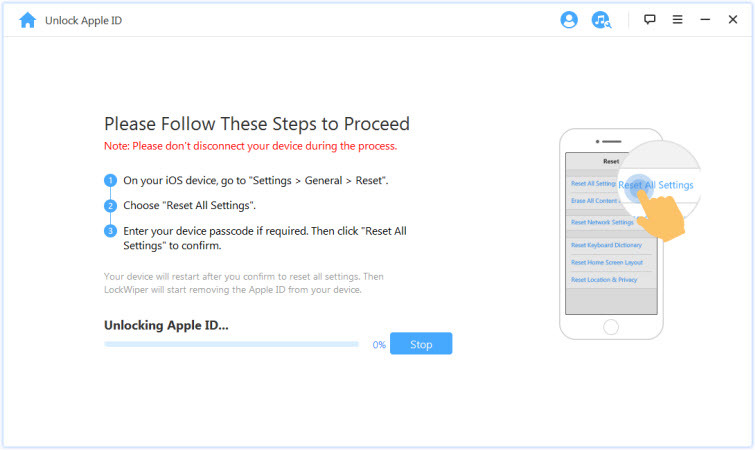 If your device cannot be detected normally in the process of loading device information or unlocking step, you'll need to put it into DFU/Recovery mode manually. Choose your device model “Other iDevice,” “iPhone 7/7 Plus” or “iPhone 8 or Later” on the top bar. 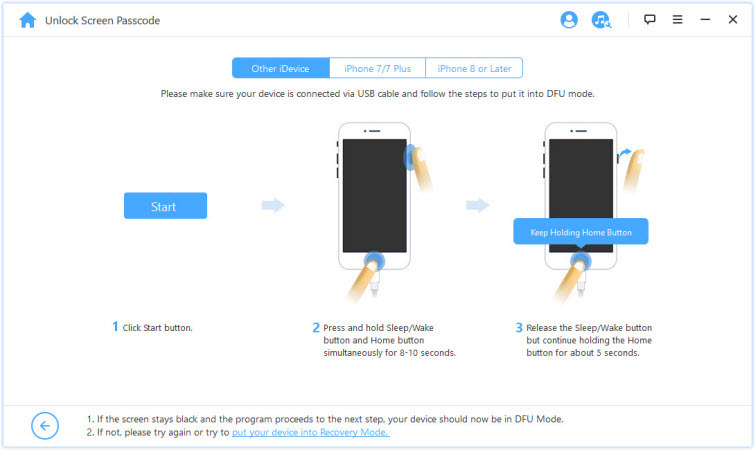 Then follow the instruction on how to put your device into DFU mode. 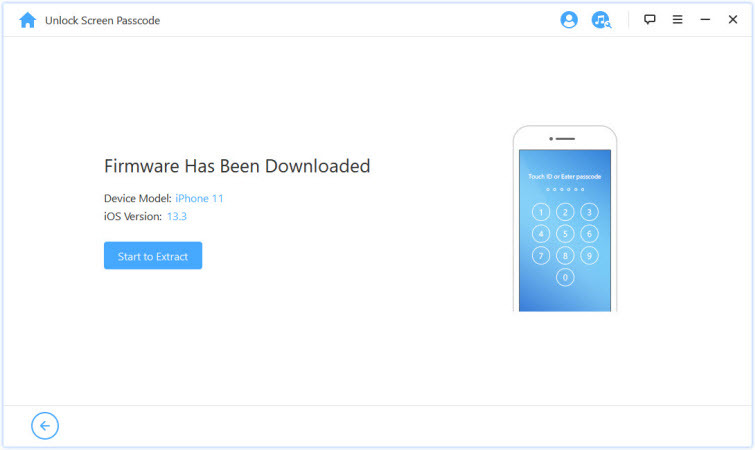 Then choose your device model “Other iDevice,” “iPhone 7/7 Plus” or “iPhone 8 or Later” on the top bar to see the instruction.